Dufftown is currently the largest of Diageo’s 27 working distilleries with a capacity of over 4 million litres per year. 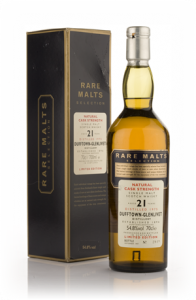 Clearly Dufftown Single Malt Scotch Whisky is becoming increasingly popular so expect to see alot more of the brand! The seection of bottlings listed below might not be the largest out of all the well known whiskies, but it isn’t always about quantity.